New advancements and developments in treating acne such as the use of ultrasound waves, curcumin (curry), thyme, phage viruses, and even nanotechnology are being studied as potential effective treatments against the disease. These are but some of the new discoveries in acne research. Enumerated are the most current and advance technologies and studies in acne treatment. The most common skin disease in the world is acne. It is a skin condition that causes pimples on the skin surface. 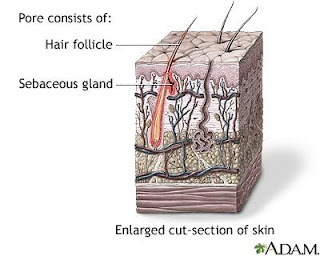 The face is the most common location for acne to appear. Acne occurs when excess oil gets trapped in the skin pores, it leads to a build up of bacteria and infection that results in zits. Although not harmful, the presence of pimples or zits, as they are commonly called, can cause embarrassment and even psychological trauma. Teenagers are the most prone to acne, around 80% of teenagers have had acne. At a time where youngsters learn to interact socially and adapt to a group environment, acne can be an obstacle. A serious case of it can affect one's self confidence, self image, and social interaction. Doctors and dermatologists have been researching on advanced treatments for the disease such as thyme, coconut oil, and a combination of medication and skin creams. They have even researched into ultrasound waves and bio-nanotechnology in finding the most effective treatment. Ultrasound Wave Treatment - By using ultrasound waves, the permeability of the skin is enhanced which makes it easier to deliver transdermal medication. Ultrasound waves makes treatment for diseases such as acne non-invasive, needle free, and more efficient. Ultrasound — sound waves with frequencies greater than the upper limit of human hearing — can increase skin permeability by lightly wearing away the top layer of the skin, an effect that is transient and pain-free. Curcumin in Curry Can Be Used To Treat Acne: Curcumin, a compound that can be found in curry, can be used to treat diseases such as acne. Curcumin is a compound that can be found in the spice, tumeric, and is a staple ingredient in curry. Researchers at the University of Rochester Medical Center received a U.S. patent on this research which not only benefits acne research but also for cancer treatments. Using viruses to treat acne: Scientists have isolated and studied the genomes of 11 viruses, known as phage, that can infect and kill the acne-causing bacterium Propionibacterium acnes, potentially paving the way for topical therapies that use viruses or viral products to treat this vexing skin condition. Their results are reported in the September 25 issue of mBio®, the online open-access journal of the American Society for Microbiology. Coconut Oil (Lauric Acid) Treatment of Acne With Bio Nanotechnology - Current acne treatments have unwanted side effcts that include redness and burning. Because of the inherent properties of lauric acid, these could be avoided. University of California San Diego are researching coconut oil treatments for acne. Graduate student Dissaya "Nu" Pornpattananangkul, who performs this research in the Nanomaterials and Nanomedicine Laboratory of UC San Diego NanoEngineering professor Liangfang Zhang from the Jacobs School of Engineering, says "It's a good feeling to know that I have a chance to develop a drug that could help people with acne,"
Thyme Effective Herbal Treatment For Treating Skin Acne - Herbal preparations of thyme could be more effective at treating skin acne than prescription creams, according to research presented at the Society for General Microbiology's Spring Conference in Dublin. Further clinical testing could lead to an effective, gentler treatment for the skin condition. Researchers from Leeds Metropolitan University tested the effect of thyme, marigold and myrrh tinctures on Propionibacterium acnes – the bacterium that causes acne by infecting skin pores and forming spots, which range from white heads through to puss-filled cysts. The group found that while all the preparations were able to kill the bacterium after five minutes exposure, thyme was the most effective of the three. What's more, they discovered that thyme tincture had a greater antibacterial effect than standard concentrations of benzoyl peroxide – the active ingredient in most anti-acne creams or washes. Combined Therapy of Epiduo Gel and Doxycycline - According to two published studies, a combined therapy of common acne medications have shown to be a powerful and potent regiment in the treatment of sever facial acne. The studies found that a combined therapy of the topical Epiduo Gel containing adapalene and benzoyl peroxide and the antibiotic doxycycline proved more effective at reducing acne lesions compared to other treatment regimens.